Better Termite offers pest control, rodent abatement, termite inspections, mosquito control, as well as an All-in-One Program to meet and exceed all of your expectations of what a pest company should do for you. In addition to our faithful residential customers, we work with some of the top builders in the region offering termite pre-treatment and rodent abatement programs. Call today to find out why Better Termite has the reputation of being one of the most honest and reliable pest extermination companies in the Virginia area. Have used Better Termite and Pest Control for years without any complaints. Excellent service. The technicians are always professional and friendly. If there is a problem that has flared up, they always take care of it. The inspector was very thorough and answered all my questions. Great service and technician is customer focused. Always on time and very thorough. I have been a customer for several years, and pleased with all the services and the timeliness when I needed extra services. Thanks for providing excellent service. Better Termite & Pest Control has been servicing my home for years. So far, so good. No evidence of termites. I also like how I get a call in advance to see if I require an inside the house inspection and to expect to see an inspector on my property that day. Staff is professional and courteous. I would recommend Better Termite & Pest Control. Thye visit was great. The technician was very professional, courteous and informative as to what she was doing. The treatment was thorough and she left traps to get the everyday critters. It was a very nice visit and a great professional job. Great service! My tech, Daren Sheetz is the best. Highly recommend BTPC for any pest problems you have in your home! The technician was thoroughly professional, extremely knowledgeable and very courteous. Very good service as usual. Inspections were thorough, both inside and outside. This family owned and operated business has provided excellent service for us over the past several years. Rob is an excellent technician and carefully explains the protective services that his company provides. Also he is very polite and professional. I like that you send a professional staff to do the inspections each year. However, I think that checking so early in season is not productive because the bugs are not moving around yet. Please correct me if I'm wrong. I know that I don't know everything about bugs. We have used Better Termite since 1979. What more can I say. I was a little concerned as the management shifted generations but for no reason. I think 30 years says it all. We have had the services of Better Termite and Pest Control for 15years. The inspection for termites is thorough and the tech is always willing to answer our questions. I've been a client since 1994 when my townhouse was built. I have an annual termite inspection, and I've had service on a few occasions to exterminate ants. The company is very reliable and the technicians are always punctual, friendly, and knowledgeable. Good reliable service and no termites for over 40 years. Excellent service and pricing. Provided the right solution for our termite problem, arrived on scheduled and performed the work as they outlined. No issue or problems and very good people to work with. I have been using Better Termite and Pest Control the past year and could not be happier. They provide great customer service and make sure you are getting what you need for your home. I have already recommended them to our neighbor and will continue to recommend them based on their service. I have been a customer for about 8 years, and I couldn't be happier with Better Termite's continued professionalism and dedication to making sure all of my needs are met. They are polite and quick over the phone, and their technicians have proven themselves trustworthy and professional time and time again. If you have any problems with any pests around your home, call Better Termite! I've been a client for 5 years. They did a great job addressing my initial issue and the warranty plan that I chose is affordable and gives me the confidence and peace of mind that if the issue reappears they will address it promptly. The technicians who come to my house have always been punctual, warm, polite, professional and trustworthy. Have used them for years and have always received great service. Also had them do an inspection of a home we sold in FallsChurch last year. Very pleased with their prompt and responsive service. 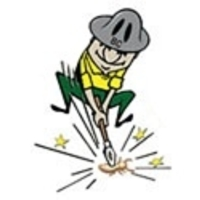 We have had Better Termite & Pest Control since our home was built, over 30 Years and they do an outstanding job. The technicians are very courteous, friendly, and punctual. Their charges are reasonable. Any questions that I had were answered. Great people. I recommend Better Termite. We have been with Better Termite and Pest control for several years now and appreciate the timely yearly response and as of yet no problems. Prompt,courteous,and professional service .I appreciate the protection put down around the border of the house to kill insects. Your service man was here on time after phoning me earlier to confirm appt for the day. I appreciated this. He was professional, friendly, and did a thorough job. We have used Better Termite since we bought our house 30 years ago. Technician Rob is the most knowledgeable, caring, and pleasant individual in the pest management business you will ever meet. A family run business for years, Better Termite & Pest Control staff is always willing to go the extra mile for their clients. Service has always been prompt, responsive and thorough. Years. Thank you for the good service. Your teks give careful attention to our home making sure we are termite free. Very friendly & professional service, didn't even bother the dog! The technicians at Better Termite are very professional and arrive in the window specified. Their work is very thorough and they explain the details to the homeowner, so they have an understanding of the situation. Excellent service. Associates are prompt, courteous, and professional. Take the time to explain their work in detail. Have used tyheir services for a number of years and always consider it a 5 star outfit. We have used this company for 20 years now and have been completely satisfied with their service without exception. They are totally professional, technically excellent and always courteous. Protected my home for nearly 40 years; found termite starts a couple times on annual inspections and promptly treated effectively. Show up when scheduled and are polite and professional. Document all inspections and work. No high pressure sales.